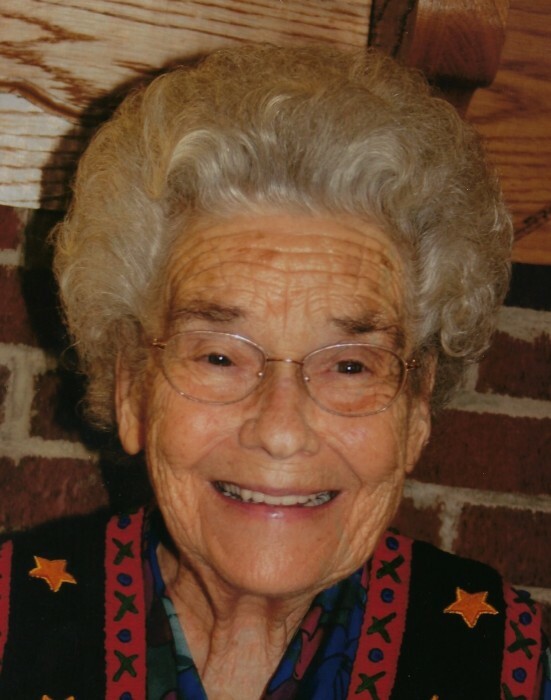 Age 93, of Sciotoville, went to be with the Lord on Monday, April 15, 2019. She was born May 14, 1925 in Sciotoville to Orlea Whitley and Sally (Smith) Whitley, Sr. Juanita was married for 65 years to Cecil Holbrook who passed away in 2001. She was a homemaker, wife, and mother who more than anything else loved to testify to the greatness of our Lord and Savior, Jesus Christ. She was a member of Bonser Run Christian Baptist Church of God and for 68 years a faithful supporter of World for Christ Missions. She is survived by her children, Rita (Earl) Dyer of Franklin Furnace, Joan (Jack) Fannin of Wheelersburg, John (Sherry) Holbrook of Sciotoville, Rose (Willie) Ruggles of Wheelersburg; sister, Rosemary Kelly of Sciotoville; brother, Orlea Whitley, Jr. of Wheelersburg; 11 grandchildren; 19 great-grandchildren; 17 great-great-grandchildren; several nieces and nephews and great, and great-great nieces and nephews. In addition to her parents and husband, she was preceded in death by son, Orlea “Chuck” Brown; grandchildren, Richard Beckwith and Jonathan Beckwith, Kimberly Brown; great-grandchildren, Jackie Sue Ruby, Sami Marie Beckwith; sisters, Verla Conrad, Maxine Clifford, Lucille Jenkins; brothers, Lowell, Russell, and Don Whitley. The family would like to extend special thanks to Heartland Hospice and Area Agency on Aging for all their care and especially Community Choice Home Care staff including Sheila and Niki. Funeral services will be 11:00 a.m. Thursday, April 18, 2019 at WOLFE-NELSON FUNERAL HOME in Sciotoville with Pastor Danny Deck officiating. Interment will follow at Sunset Gardens in Franklin Furnace. Friends may call on Wednesday from 4 – 7 at the funeral home and one hour prior to the service on Thursday. Fond memories of Juanita and expressions of condolence may be shared at www.WolfeNelsonFuneralHome.com. In lieu of flowers the family requests donations be made to Bonser Run Christian Baptist Church of God or Heartland Hospice.